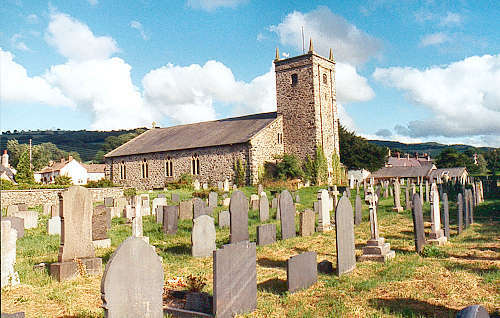 Eglwysbach is an ancient parish. It comprised the townships of Maenan (in Caernarfonshire); and Esgair Ebrill, Pennant, Cefn y Coed and Bodnod, in Denbighshire. St. Martin's church was mentioned in the Norwich Taxation of 1254. It was rebuilt in 1782, and restored in 1882. For family history information about the church and parish, visit the GENUKI Eglwysbach page.